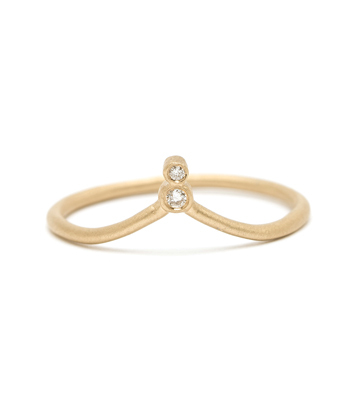 Dainty, feminine, and utterly charming! 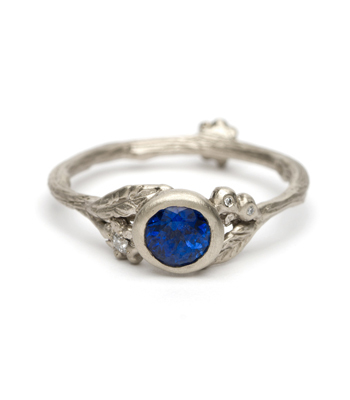 Our sapphire solitaire features a 18K yellow gold twiggy textured band, diamond accented daisies and pods, and one stunning natural, No Heat blue sapphire Round Brilliant Cut center stone (0.99ct). 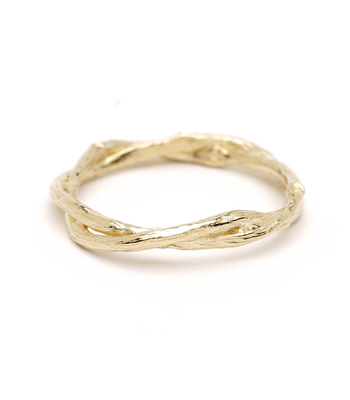 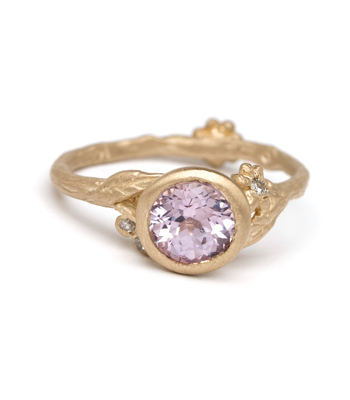 This ring is also available in custom sizes and types of stones. 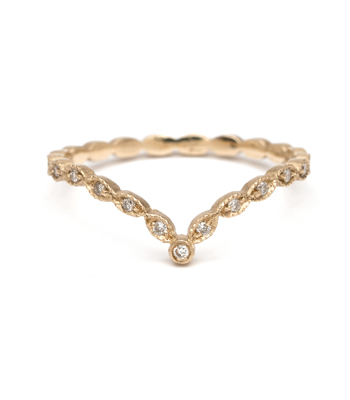 A beautiful engagement ring for the boho chic bride, this ring looks stunning when paired with many of our thin eternity bands. 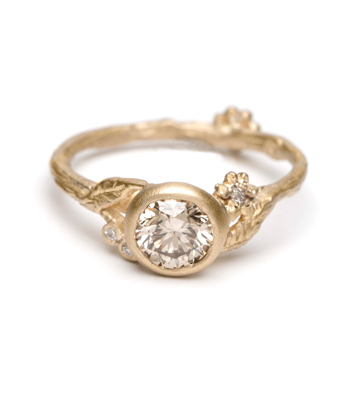 Categories: All Engagement Rings, Artisan Mined Colored Gems, Bohemian Elegance, Earth and Sky, Gemstone Rings, One of a Kind Bridal, Rings, Something Blue.